What Motivates a Judge to Continue to Serve? Insights from an Interview with Judge Charles J. Kahn, Jr. Surely each of you is aware that a state court lawsuit can sometimes be transferred to federal court, but has it ever occurred to you that the same might happen to your judge? On February 25, 2011, the Chief Judge of the United States District Court of the Northern District of Florida, with the approval of all the Judges of the Northern District, signed an order proclaiming that Florida’s First District Court of Appeal Judge “Charles J. Kahn, Jr. be, and he is hereby, appointed as full-time United States Magistrate Judge, with his official station being designated as Pensacola, Florida.” With that stroke of the pen, one of Tallahassee’s longest-serving judges became one of Pensacola’s newest. Of course, this was not a hostile take-over of state courts by federal authorities. To the contrary, Judge Kahn applied for and was appointed to his new bench. Certainly it is not unusual to see a judge holding one bench aspire to another. Yet consider Judge Kahn’s case: as of February 2011, Judge Kahn had 20 years of experience on the First DCA. In last November’s statewide election, the people of Florida voted to retain Judge Kahn on the DCA for at least another 6 years. He certainly had no need to start job hunting. At age 59, His Honor could serve his 6-year elected term on the DCA, and then continue to serve or consider retirement at a typical retirement age of 65. Alternatively, no one could fault His Honor for considering an early retirement now after having dedicated 20 years of his life to public service. We can all name some recent instances of early-retiring state appellate judges who now enjoy a successful private practice. Yet Judge Kahn shunned that option and accepted an 8-year appointment to a federal bench. Federal law and procedure, in many ways, looks nothing like the state law and procedure Judge Kahn has applied and interpreted for two decades. What motivated him to continue his life of public service, and to do so by packing up himself and his family and moving 3 hours west on Florida’s Interstate 10 to master an entirely new court system? The only way to find out was to ask Judge Kahn. Honestly, I never doubted that he would grant the interview. Anyone who has appeared before Judge Kahn reaches the same conclusion I have: he is a humble and approachable man. But would Judge Charles J. Kahn, Jr. share the personal details that would reveal what drives his continuing desire for public service? Dr. and Mrs. Charles J. Kahn, Sr.
Perhaps the earliest influence on most men is their parents, and so I asked Judge Charles J. Kahn, Jr. about Dr. and Mrs. Charles J. Kahn, Sr. His Honor’s description of his father came forth with the quickness of a son who is proud of his dad. His dad, and his dad’s dad, and his dad’s dad’s dad were “Pensacola natives” as Judge Kahn describes them. Was this my first hint at the answer as to why Judge Kahn might leave Tallahassee for Pensacola? Judge Kahn’s dad was a Pensacola doctor. Dr. Charles J. Kahn Sr. was an internist of yesteryear, keeping a small and personalized practice, treating his patients from cradle to grave, and knowing his patient’s families as well as he knew his medicine. “We lost Dr. Kahn Sr. about 5 years ago,” Judge Kahn Jr. mentioned briefly, before quickly pointing out that his mother is in perfect health. Mrs. Charles J. Kahn, Sr. was a housewife, a community volunteer, and to both Judge Kahn and my knowledge, perhaps the first woman to have served as the President of a Synagogue. 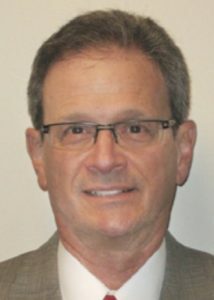 I pointed out to Judge Kahn that he himself has served as President of Temple Beth El in Pensacola, which honor the Judge quickly dismissed with the comment, “there’s always a shortage of people to serve at religious posts.” It seems Judge Kahn will honor his mother with the strengths of her achievements, but will deny himself the same honor even for doing a similar public service. My impression of Judge Kahn being a humble man was right, but perhaps that humility runs deeper than I thought. Was this deep humility another piece to solving the puzzle of what drives Judge Kahn to continue a life of public service? Many a man chooses his career with the needs of his family in mind, and so I wanted to know more about Judge Kahn’s family. A picture speaks a thousand words. Was I rude to ask a sitting federal judge for casual pictures of himself, his wife, his children and his grandchildren? The humble and approachable Judge Kahn took no offense and was happy to oblige. He sent the pictures in a pre-interview email to me with a few sentences included about his family “written to save you time.” Note how he wrote as if my time were somehow more valuable than his. This email taught me that Judge Kahn has been married for more than 33 years to Janet S. Kahn. Mrs. Kahn graduated from Penn State in 1976, moved to Gainesville, and has been a Floridian ever since. She is a full-time member of the faculty of The Florida State University, where she teaches and has a clinical practice in Speech Language Pathology. Mrs. Kahn’s clinic assists hearing-impaired children (from birth to 10 years old) with assistance in receiving and using Cochlear implants. Temporarily, Judge Kahn “lived from a suitcase” as he split his time between working in Pensacola and living with his wife in Tallahassee until her retirement in May 2011 will allow the two of them to make an orderly move to Pensacola. Judge Kahn’s younger daughter is Sally, an FSU grad, who earned her M.S. from Vanderbilt University and who practices Speech Language Pathology in Alabama. Judge Kahn’s oldest daughter is Julia, an FSU grad, who is married to Scott Reisinger of Merrill Lynch. Scott and Julia have two daughters, Tula, age 3, and Alice, age 1. With Judge Kahn’s daughter Julia making Judge Kahn a proud grandpa, did Judge Kahn give up the First DCA for a bench closer to his grandchildren? “Living farther from my two grandchildren was perhaps the hardest part of the decision for me and my wife in accepting this position in Pensacola,” Judge Kahn told me. Three-year-old Tula and 1-year-old Alice are in Jacksonville. Although His Honor did not describe the trip, if you have ever made the 6 hour drive down rural Interstate 10 oneway from Pensacola to Jacksonville, you know that the exits are few and far between, the road is straight and flat, the radio stations go in and out of reception, the billboards are nonexistent, each barren passing mile looks identical to the last, and the only convenient food along the way is served from a drive-thru window. I can tell from Judge Kahn’s loving descriptions of Tula and Alice that he will soon be making this a regular commute. So despite Judge Kahn’s deep roots in Pensacola, his move there comes with sacrifices. As I interviewed Judge Kahn, I got no inkling of a lack of love for his new federal trial work. Nevertheless, Judge Kahn mentioned to me that he will always think of himself as an appellate judge. Judge Kahn told me he already misses fondly his former fellow appellate judges and DCA staff and feels extremely warm sentiments toward all of them. When asked what he will miss most about Tallahassee, he said it is the extremely high quality of its bench and bar, which he can compare to all others around the state from having been in a statewide practice from 1979 through 1991. After 20 years in Tallahassee, many members of the Tallahassee bench and bar became Judge Kahn’s close personal friends and golfing partners. So despite the prestige and importance of Judge Kahn’s new federal bench, I can see that accepting this position came with some personal sacrifices. Honestly I did not understand why Judge Kahn would make those personal sacrifices until I asked what I thought might be a mundane question. I asked Judge Kahn what motivated him back in 1991 to leave private practice and become a judge. With Judge Kahn’s usual humility, he answered that we can skip that question if I like because it was a long answer. I am glad I declined that invitation, because the answer he gave me made me understand why Judge Kahn continues his life of public service at a time when so many appellate judges are returning to a lucrative private practice. Back in 1989-1990, Judge Kahn was in private practice as a partner with Levin, Middlebrooks, Mabie, Thomas, Mayes and Mitchell, P.A. in Pensacola. He was embroiled in some complex litigation in Walton County. It involved a Walton County development called Seaside and the St. Joe Company, a corporation which even today still owns more than 600,000 acres in Florida. The Honorable Judge Clyde Wells presided over this case and was an inspiration to Judge Kahn. Perhaps you can remember those rare individuals in your life that have inspired you to greatness. Judge Clyde Wells was just such an inspiration to Judge Kahn. It was quite unexpected when a plane crash took Judge Wells’ life. That unexpectedness caused Judge Kahn to reflect upon his own life. It seems to have awakened in Judge Kahn this call to public service that continues to drive Judge Kahn today. Judge Kahn is far too humble a man to analogize himself to Judge Wells, and indeed he did not. I hope Judge Kahn will excuse me, then, when I conclude on my own that Judge Kahn’s acceptance of his latest position in public service was the natural manifestation of a heart dedicated to serving the public. If you want to explore the mindset of a true public servant, you need not look any further than Judge Charles J. Kahn, Jr. Tallahassee suffers a great loss with Judge Kahn’s departure, and Pensacola has a great gain. I am jealous of the Pensacola lawyers who will get to practice before him, and I am honored to have been a litigant at Judge Kahn’s final oral argument at the First District Court of Appeal. I know that when I think about what makes a great appellate judge, Judge Kahn will always come to mind. Naturally, I would not let this interview of Judge Kahn end before getting my fair share of good advice on becoming a better appellate lawyer. I now pass some of those words of wisdom on to you. Yes, just some. I kept some of that wisdom just for myself. Judge Kahn may be a public servant, but I am not. I asked Judge Kahn, if he could only give one piece of advice on how a good appellate brief writer can become a great brief writer, what would that one piece of advice be? His Honor cited to the “focused development of each point on appeal,” to which I asked for further elaboration. Apparently further elaboration was the opposite of what Judge Kahn meant. A good brief becomes a great brief when artfully-chosen words lead succinctly to a firm conclusion. Or at least I think that is what Judge Kahn meant. I lack the skill to paraphrase him concisely. I asked Judge Kahn for one piece of advice for making oral arguments more effective. He responded to always remember the importance of a conversational tone. An effective oral argument is a conversation between the judge’s panel and the attorney. I asked Judge Kahn for his opinion, after 20 years on the appellate bench, as to whether technology improved appellate advocacy or stood in the way of making effective appellate arguments. I cited to video oral argument technology and to the First DCA’s pioneering use of paperless brief submissions as some technological examples. Judge Kahn answered that he sees the strengths and weaknesses in video oral argument. He did not deny the advantage of reduced travel expenses and efficient use of resources, but also commented that current video technology does not perfectly reproduce the triangular relationship between the judge’s panel, the appellant’s counsel, and the appellee’s counsel. He notes it also cannot duplicate the judge coming off the bench and shaking counsels’ hands. Judge Kahn sees the benefits of the 1st DCA’s new eDCA attorney website and its iDCA companion site for judicial access. By now it is no secret that Judge Kahn, Judge Paul M. Hawkes, and Clerk of Court Jon Wheeler won the Davis Productivity Award for eliminating costly delays in the worker’s compensation appeals process. Since 1989, the Davis Productivity Award program has publicly recognized and rewarded state employees and work units whose work significantly and measurably increases productivity and promotes innovation to improve the delivery of state services and save money for Florida taxpayers and businesses. Judge Kahn and I discussed how the cost savings to sole practitioners is enormous due to paperless appellate brief filings. Clearly the cost savings is not just for the state, but also for the practitioner. Judge Kahn attributes the success of eDCA and iDCA to his and his fellow appellate judges’ “willingness to listen to and implement the changes suggested by our customers, the attorneys and litigants.” Note how this humble Judge analogizes his role as being like customer service. When asked to compare the federal bench to his former post, Judge Kahn was a bit reluctant to make this comparison, stating that he feels he has not been on the federal bench long enough to fairly compare and contrast. Yet due to his affable nature, I convinced him to answer the following. I mentioned how, in most cases, an appellate judge could not grant relief unless the issue had been properly raised below and was properly preserved for appeal. A trial judge’s standard is often different. A trial judge can reject testimony and evidence if it is not credible and sometimes can grant discretionary relief as long as doing so is not an abuse of discretion. I asked, now that his trial bench requires a different standard, does Judge Kahn feel the appellate standard was a blessing or a curse? Judge Kahn was quick to respond that “the ‘pre-knowable’ standard is absolutely necessary for principled adjudication at the appellate level.” He added that “the law becomes unmanageable” without it. It seems Judge Kahn would not be in favor of any change to the law of limited appellate review and preservation of error. As an appellate judge, Judge Kahn decided most cases as part of a 3-judge panel, but now, the decision is all his own. So I asked Judge Kahn: Do you prefer the autonomy, or do you miss the collaborative process? For the first time in our interview, Judge Kahn did not have an answer. He attributed this to his belief that he has not been on the federal bench long enough to tell. I attribute this to his deep humility. I mentioned his recently-published federal decision that I read on WestLaw. I tried to compliment its thoroughness and deep understanding of an area of the federal law that Judge Kahn certainly had not examined during his 20 year career as a state appellate judge. Despite the fact that only he and I were sharing this conversation, Judge Kahn was not willing to accept praise for his well-reasoned decision. This should not have surprised me. Our humble Judge Kahn does not seek out praise or notoriety or lucre. This penultimate public servant only seeks out opportunities to serve. And I have no doubt that, for the next 8 years or more, he will humbly and dutifully serve Pensacola as a fair and accurate United States Magistrate Judge. I wish him great success on his new bench. Patrick John McGinley is Board Certified in Appellate Practice and Board Certified in Workers’ Compensation. He is the author of three books in West’s Florida Practice Series: Florida Elements of An Action, Florida Insurance Law, and Florida Workers’ Compensation. He practices appellate law statewide from his offices in Winter Park. He can be reached at 407-681-2700 or via email at Patrick@McGinleyLaw.com.